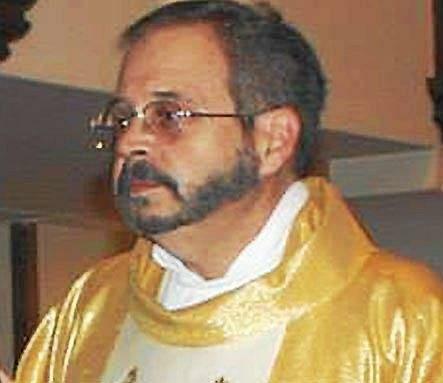 RHINEBECK >> A “credible” sexual abuse allegation dating back 30 years has led to the suspension of the parish priest at Good Shepherd and St. Joseph churches in Northern Dutchess, according to the New York Archdiocese. Kihm, who could not be reached for comment, has denied the allegation, according to the archdiocese. Kihm taught at the Our Lady of Lourdes Catholic High School in Poughkeepsie from 1987 to 1992, but “the incidents alleged did not occur at Our Lady of Lourdes,” Zwilling said. He said, though, that the school has notified its graduates of the allegation. Phyllis Perrotta, assistant to Lourdes Principal Catherine Merryman, declined on Wednesday to say how graduates were notified of the allegation. There was no message to graduates posted on the school’s alumni website. On Sunday, Bishop Dominick Lagonegro read a statement to parishioners during three Masses at the Church of the Good Shepherd in Rhinebeck and at one Mass at St. Joseph’s Chapel in Rhinecliff, and he spoke with parishioners during coffee hours following each service, Zwilling said. A letter was sent by Bishop Gerald T. Walsh to Our Lady of Lourdes High School as well as Kihm’s first parish in the Bronx and parishes in Rhinebeck, Poughkeepsie, Ossining and Nyack in which he served. According to Catholic New York, the newspaper of the New York Archdiocese, Kihm was appointed to the Rhinebeck parish in 2013. Grady said the five-year statute of limitations period in such cases begins when the accuser turns 18. In the Kihm matter, that was more than five years ago. The Dutchess County District Attorney’s Office can be reached at (845) 486-2300. State police are at (845) 677-7300.